All my past images have been centered on Emergency workers. This piece is for their families. It's not only us who suffer from PTSD it's our families as well, and in extreme cases they suffer even more. 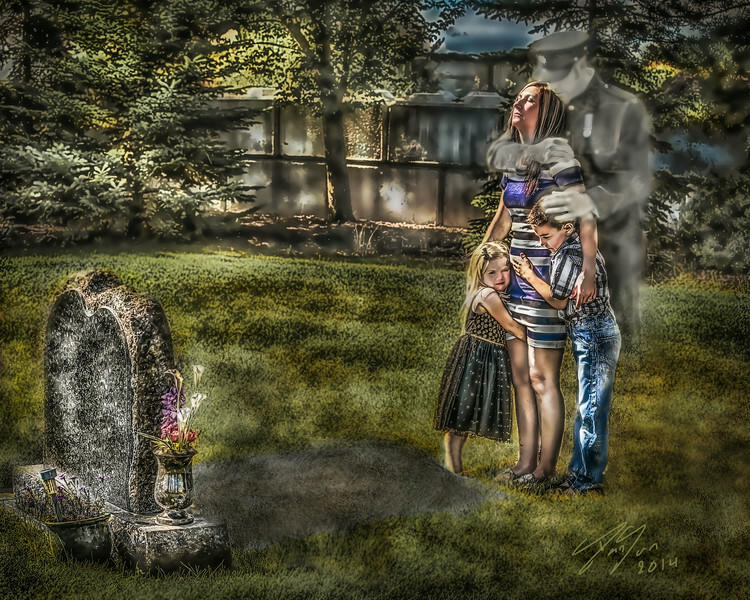 I dedicate this piece I titled "Not Forgotten" to all the familes of the men and women who work in the military, EMS, law enforcement, fire departments and any other extreme high stress job that may result in PTSD. Thank you to all the wives, husbands and children who make things better for us by just being there. Thank you so much for doing "Not Forgotten". As a widow of a member of the Candian Forces who served nearly 44 years (we were together for 37 of those) and who did a total of 818 days in theater I know how many ghosts are with us. Thank you for all of these. They are very powerful!